The alleged plot, which Denmark’s foreign minister said he believed the Iranian government was behind, prompted the Nordic country to call for fresh European Union-wide sanctions against the Islamic Republic, according to Reuters. The attack was meant to target an Iranian dissident, intelligence chief Finn Borch Andersen said. Predictably the Iranian regime was quick to deny the charges and tried to place the blame on its various enemies. Foreign Ministry spokesman Bahram Qassemi said that the publication of such “spiteful” media reports and its attribution to Iran is a plot by enemies to affect Tehran’s growing relations with European countries. The Norwegian suspect had been observed photographing the residence of the Iranian dissident, Danish security services said in a statement. The plot follows a similar one over the summer in which Iranian intelligence services were implicated in attempting to smuggle a bomb into a gathering of Iranian dissident groups outside of Paris at which a number of American dignitaries were attending, including former New York mayor Rudy Giuliani. Last Friday, France expelled an Iranian diplomat over the bomb plot in retaliation. Rasmussen said, after a meeting with his British counterpart Theresa May in Oslo, that he appreciated her support. “In close collaboration with UK and other countries we will stand up to Iran,” he tweeted. In May, Pompeo claimed that Iranian regime’s Revolutionary Guard was carrying out “assassination operations in the heart of Europe”, an allegation that at the time bewildered security experts, given that there had been no recent killings in Europe officially attributed to the Iranian state. Since then, France and now Denmark have directly blamed Tehran. The most recent killing of an Iranian dissident took place in The Hague in November last year, when a gunman shot Ahmad Mola Nissi, another Iranian dissident, which had claimed responsibility for several attacks in Iran. In further action, Denmark recalled its ambassador from Tehran and called for fresh European Union sanctions in retaliation. The announcement came as Tehran scrambled to muster European support before the US re-imposes stringent sanctions on the country early next month. The Wall Street Journal editorialized about the seriousness in the increasing number of assassination efforts by the Iranian regime and the bewildering lack of response by EU officials who have been busy trying to concoct ways to throw an economic lifeline to Iran in the wake of U.S. sanctions. 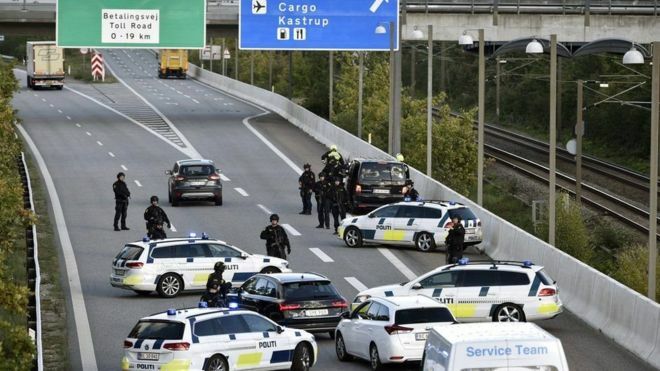 “Even as Iranian hit squads are setting up shop across the Continent, the European Union is displaying a fundamental lack of seriousness about a country uninterested in distinctions between bombs, missiles and assassinations,” the Journal’s editorial board opined. It is a remarkable turn of events to see the Iranian regime resort to these brazen attacks being carried out under the direct supervision of Iranian intelligence and diplomatic personnel without any effort to hide or disguise the plots. It can be seen as an indicator of how desperate the mullahs must be in Tehran as they see their grip on power eroding steadily under the drumbeat of persistent protests throughout Iran and the threat of new economic sanctions that will cut off the supply of hard currency to fund the regime’s operations. That desperation is another sign that the Iranian regime’s days may be numbered.